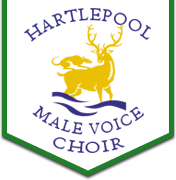 On Saturday the 18th of June the choir will be holding a Joint Concert with Hartlepool Ladies’ Choir. It’s in the Borough Hall and starts at 7:00 p.m.. We can promise you a superb evening of entertainment with songs from all genres performed jointly and by the individual choirs. Certainly not one to be missed! Tickets are available from members of both choirs, through the contact information on the websites, and at the door, priced at £9 and £8 for concessions. Please come and join us.